Whether you’re having the cheeky after work pint or enjoying a sunny spring Saturday, you need a good watering hole. We’ve rounded up some of our tried-and-true favorites here – cheers! 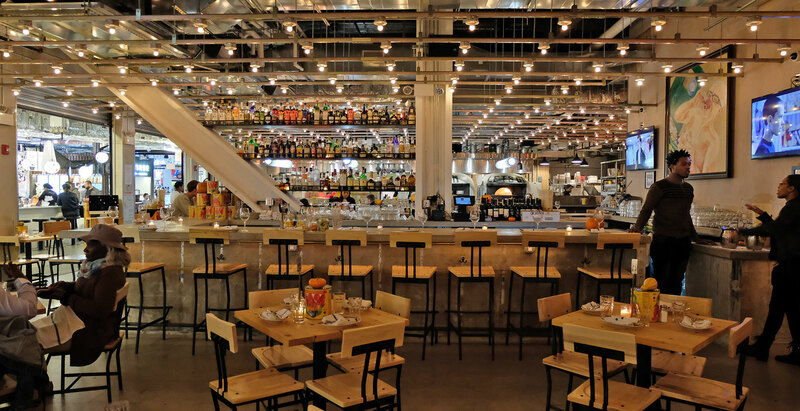 Fortina offers a range of pizzas and drinks with great ambiance, and a daily happy hour from 3:30-7pm. 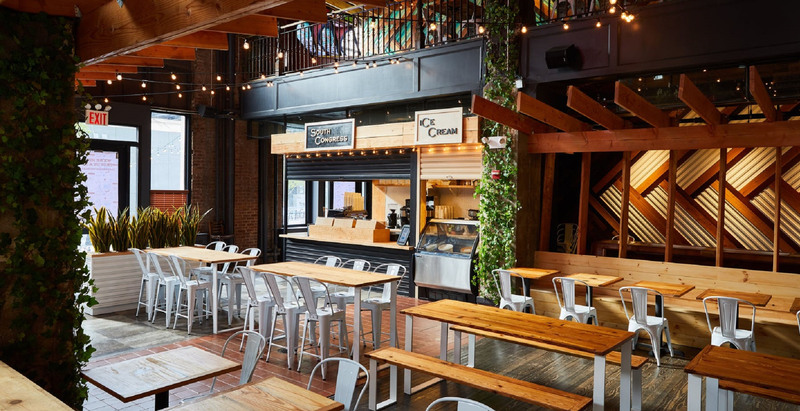 At the bar you can enjoy a range of $5 nibbles – garlic knots, chicken parm sliders, and more – and $5 wine and draft beers. Then, why not stay for dinner? Get a whole margarita or classic “Ray’s Pizza” for just $10. 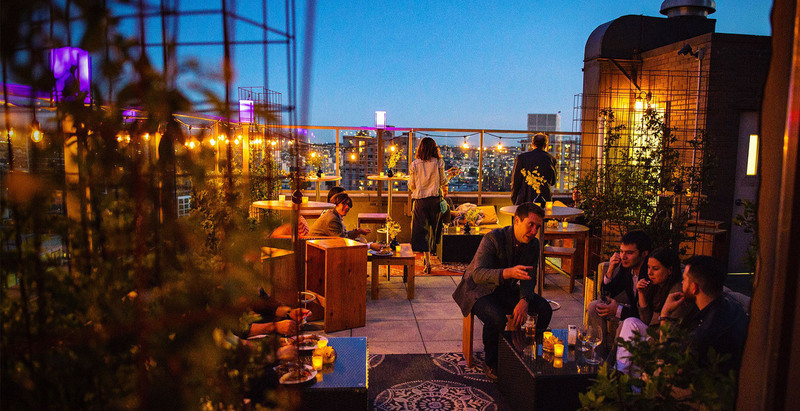 With warmer weather rapidly approaching, you can’t not go to the best local rooftop bar. Kimoto offers plenty of indoor and outdoor seating with views of the entire city. Take advantage of daily specials from 3-7pm, including drinks and classic bar favorites such as dollar wings. And if you don’t have anywhere else to be, stay for the live DJs later in the evening. Perfect for drinks with coworkers or the whole family, the spacious Hill Country Food Park not only offers an impressive array of dining options, but also a happy hour special on Mondays. Just in time for the warmer weather, enjoy $5 frozen margaritas all day at Nickie’s! And, if you’re looking for a more extensive drinks menu, bring the party upstairs to Hank’s Saloon. 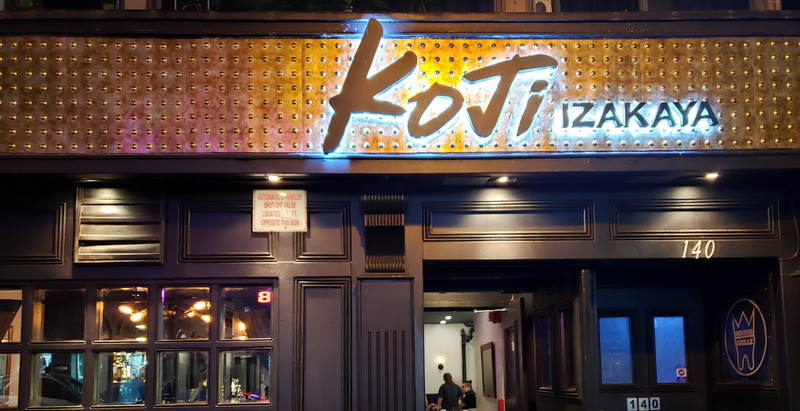 Conveniently located right by MetroTech, this Japanese style pub and restaurant is a cozy option for any time of day. Happy hour is every day starting at 11:30am (yes, really! ), and not only includes $5 drinks but also a range of small plates inspired by traditional Japanese pub food. Get a taste of everything from edamame to gyoza, and even wings if you’re looking for more typical happy hour fare. If you like creepy, then look no further. This wax museum and barroom is sure to get your skin crawling before you can even order your first round. 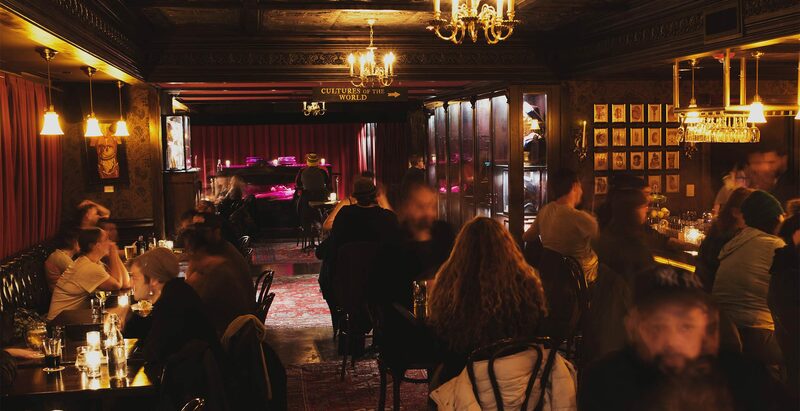 After you’ve taken some time to examine a death mask of Napoleon or the Victorian-era medical models, enjoy a happy hour (4-7pm daily) that includes a $10 old fashioned or bamboo cocktail, $7 beer and shot combos, and $5 cans. After you’ve given these bars a shot (pun intended), find us on social media to let us know which one’s your favorite! Give us a shout on Facebook, Twitter, or Instagram.